When dealing with different types of digital pianos there are always different factors that go into choosing which piano is the right one for you. Many times the biggest deciding factor is the cost of a machine itself. Tagging the word ‘cheap’ onto anything can many times be a negative connotation, but that shouldn’t always be the case. The truth is, in this musical consumer climate full of all kinds of technological advances and inflated prices, there are plenty of people looking for an all-around cheap digital pianothat won’t skim too much on the quality. And in my opinion, the Yamaha DGX-530 is a machine that fits this category. 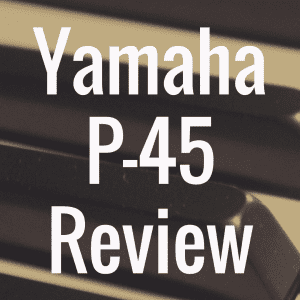 Below, compare the affordable Yamaha DGX 530 to some of the best pianos in its class based on things like weight, price, and customer reviews. When talking about the DGX-530 we have to start with the most glaring fact. This digital piano was released in 2008, which to some may seem like an eternity ago. This certainly isn’t on the cutting edge of the industry, and it’s up to the individual to determine whether this model can be considered modern or not. But despite all of this, the DGX-530 is still a wonderful machine that is able to perform much of the capabilities needed in any general digital piano. It comes in a beautiful silver finish with a wide open interface set in between two built-in stereo two way speakers with bass ports. The piano comes complete with a decent sized full dot LCD monochrome display set in the middle of the piano. The interface contains a label of the onboard tones and rhythms, along with other functions. The DGX-530 is also included with an industry standard keyboard stand, which can easily be assembled and can be complemented with other optional accessories. 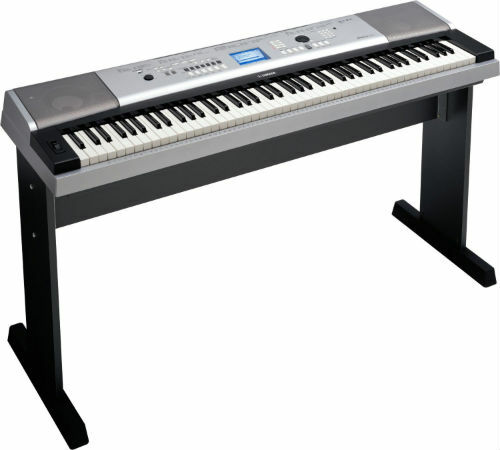 The DGX-530 has the general size of an 88 key digital piano, weighing in at 37 pounds (weight of the piano stand included) and measuring in at 53 inches long and about 20 inches deep. With the piano stand, the complete set sits about 30 inches off the ground, so this piano will have no problem fitting in any home or bedroom setting when set up correctly. 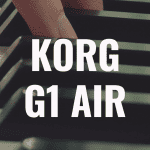 There are almost 500 tones and rhythms included on this digital piano. The DGX-530 comes with a range of 127 tones in addition to 361 special XGlite sounds, along with 12 Drum and SFX kits. There are also an assortment of Yamaha’s patented Sweet, Cool, and Live voices, which are aimed at bringing a realistic sound to the digital piano experience. There are a good number of digital pianos which are built almost like toys, and the industry is inundated with cheap pianos that you would be embarrassed to even give as gifts on the tackiest of holidays. With the DGX-530, Yamaha definitely tried to set themselves apart with this new set of digital sounds. While these tones and voices certainly can’t compare with much of the technology, tone generation and sound engineering available on many of the recent and current models, it is definitely a step above other cheaper models on the market. It’s sometimes hard to give an accurate bead on a piano like the DGX-530 after reviewing and sampling many other much higher end digital pianos. 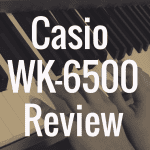 There’s certainly no shame to what the DGX-530 brings to the table, but it’s certainly hard to compare what this digital piano brings to the table with high end models from Yamaha or Casio, such as the Privia series. One of the first areas you notice a difference like this is in seeing the polyphony of the DGX-530. It’s been a while since I’ve seen or reviewed a digital piano that only had a mere 32 notes of polyphony. Many of the modern models have at least 48, 64, or 128 notes of polyphony. Many of the higher end models even have up to 256 notes. However, many of these newer models do have a wider range of features and audio technology to balance, which the DGX-530 does not have. So I guess it’s safe to say 32 notes will work for this machine. I also have to remember this piano was released in 2008. Much has changed in the digital piano industry since that time. The DGX-530 unfortunately does not have a graded hammer action weighted key system. However, it does boast Yamaha’s Graded Soft Touch system, which tries to mesh a variation of the graded hammer system with a spring loaded key system. All in all the keyboard action will get the job done; it’s simply up to the user to decide what he or she is looking for. The Yamaha YPG-535 is a wonderful machine to compare with the DGX-530. For one, both digital pianos start off in the same price range of around $800, with an appealing bargain cost of around $500, which can easily be found on in many online retail stores. Both pianos have 88 keys and both also have Graded Soft Touch, which is a step down from a graded hammer action key system. 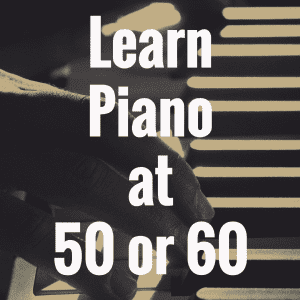 Both have the same monochrome silver finish and come fully equipped with Yamaha’s Education Suite, which helps the user learn at his pace how to play the piano. Both pianos also have USB to device connectivity and capability along with the special Performance Assistance Technology feature which ensures that live performance users of the machine can actually never play a wrong note depending on how they set the machine. 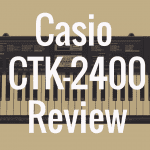 All in all, there really isn’t too much of a difference between the two machines, and in the end you will be making the decision based on whether you desire a newer or older version of a digital piano. Whichever choice you make, you really can’t go wrong. It is all well and good to compare this piano to some other counterparts, but it would be better to see how it performs against the benchmark of great digital pianos, like the Yamaha P 105. The P-105 has had so much success and won so many awards over time, so seeing whether or not the DGX-530 can stack up to this very popular machine seems like an apt thing to do. When we take a first look, the P-105 has a better key action system in the Graded Hammer Standard (GHS), with an additional 4 settings of touch sensitivity in Hard, Medium, Soft, and Fixed. The P 105 also uses the legendary Pure CF engine, so this is definitely a mark above the AWM sound engine of the DGX 530. Also, the 128 notes of maximum polyphony housed by the P 105 blast the 32 notes of the 530 completely out of the water; there is no comparison there. 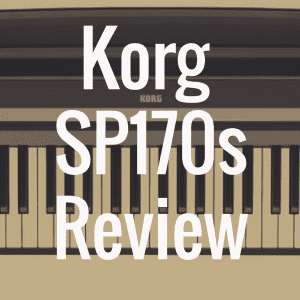 The only thing the 530 can muster is that it has hundreds more voices and tones, but we must keep in consideration that the P 105 is not necessarily designed for that purpose. The DGX 530 has a retail price of about $800, but you can easily find this piano and others for a bargain deal online. You can also find the 530 for a wonderful price of $500, a price much cheaper than some beginner pianos on the market. One of the most attractive qualities of the Yamaha DGX-530 is its price. Because of the age of the model and its availability, there’s no doubt this piano can be found for a great price. Please bookmark the Digital Piano Review Guide homepage so that you can find and read all of our last piano reviews!